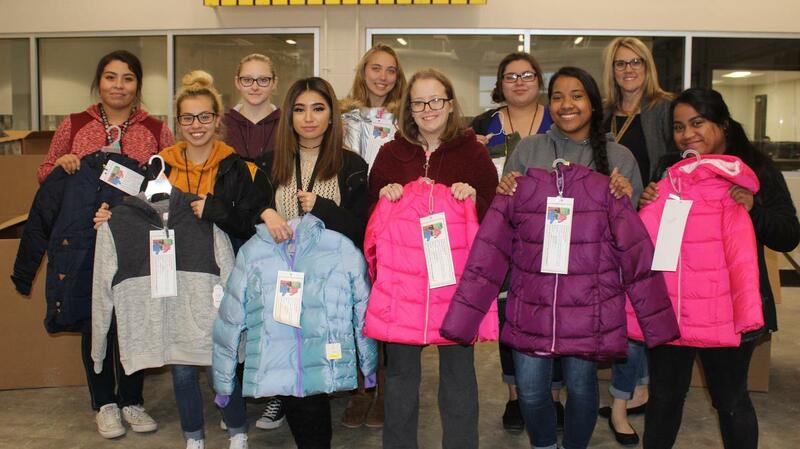 One hundred ten children have received new coats for the cold days ahead through an effort coordinated for the second year by family and community service students at Cleburne High School. Dea Griffith and her students worked with the District’s elementary schools in the effort to provide coats for younger peers who might be without. Members of the Alpha Gamma chapter of Delta Kappa Gamma, an international society of women educators, and James Hardie also contributed coats to the project. Noriega, who is a member of the CHS chapter of Family, Career and Community Leaders of America, plans to base her entry in the annual STAR events competition on the Coats for Kids project and her experience as a participant. Griffith was pleased with the success of the project and the response from students at CHS. With one more year of high school ahead, Noriega has already decided she will be among the coat project participants in 2019. Offered through the CHS Career and Technical Education program, family and community services is a lab-based course designed to involve students in realistic and meaningful community-centered activities. Students are provided opportunities to interact and provide services to individuals, families and the community in a voluntary capacity. Emphasis is placed on developing and enhancing organizational and leadership skills and characteristics. For the second year, family and community service students at Cleburne High School have collected coats for elementary students who are without. Pictured front, l-r, Daniela Villegas, Katelynn Ortiz, Shanda Pruitt, Jelin Benkim, Elin Benkim and back, Emily Noriega, Kelsie Rainville, Jessica Lyons, Carolina Garcia, and teacher Dea Griffith. Senior Kelsie Rainville sorts through coats destined for CISD elementary students in need of cold weather clothing. 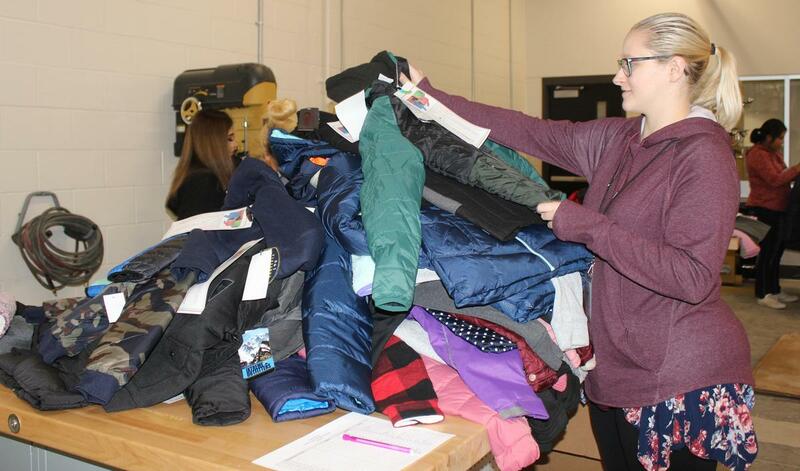 Cleburne High School students and staff, with some help from the community, donated more than 100 coats to the project, now in its second year.